CARFAX One-Owner. Priced below KBB Fair Purchase Price! It's not just an used car, It's a **Kia Certified Pre-Owned. Kia Certified gives you the confidence of knowing every vehicle comes equipped with Kia's comprehensive 10-year/100,000 Certified Pre-Owned Limited Powertrain Warranty, 12 month/12,000 miles Platinum Coverage, 24-Hour Roadside Assistance, and Towing/Rental/Travel Breakdown Coverage. Certified. Low Miles, ***ONE OWNER, LOCAL TRADE, CERTIFIED, CLEAN CARFAX, Best price in town! !, Forte LX, 4D Sedan, 1.8L I4 DOHC Dual CVVT, 6-Speed Automatic, FWD, Silky Silver, black Cloth. 1.8L I4 DOHC Dual CVVT Odometer is 5140 miles below market average! 26/39 City/Highway MPG Select Certified. 117 AUTO COURT DRIVE. OFALLON ILLINOIS 62269. SECOND BUILDING ON THE LEFT! CARFAX One-Owner. Priced below KBB Fair Purchase Price! It's not just an used car, It's a **Kia Certified Pre-Owned. Kia Certified gives you the confidence of knowing every vehicle comes equipped with Kia's comprehensive 10-year/100,000 Certified Pre-Owned Limited Powertrain Warranty, 12 month/12,000 miles Platinum Coverage, 24-Hour Roadside Assistance, and Towing/Rental/Travel Breakdown Coverage. Certified. ***ONE OWNER, CERTIFIED, CLEAN CARFAX, Best price in town! !, Rio S, 4D Sedan, 1.6L I4 DGI 16V, 6-Speed Automatic, FWD, Clear White, black Cloth. 1.6L I4 DGI 16V 28/37 City/Highway MPG At Auffenberg Pre-Owned Superstore we have over 600 vehicles for you to choose from staring at $4995. We're only minutes from anywhere in St. Louis. CARFAX One-Owner. It's not just an used car, It's a **Kia Certified Pre-Owned. Kia Certified gives you the confidence of knowing every vehicle comes equipped with Kia's comprehensive 10-year/100,000 Certified Pre-Owned Limited Powertrain Warranty, 12 month/12,000 miles Platinum Coverage, 24-Hour Roadside Assistance, and Towing/Rental/Travel Breakdown Coverage. Certified. Low Miles, ***ONE OWNER, LOCAL TRADE, CERTIFIED, CLEAN CARFAX, Best price in town! !, Niro LX, 4D Sport Utility, 1.6L I4 DGI Hybrid DOHC 16V LEV3-SULEV30, 6-Speed Dual Clutch, FWD, Silky Silver, charcoal Cloth. 1.6L I4 DGI Hybrid DOHC 16V LEV3-SULEV30 51/46 City/Highway MPG Select Certified. 117 AUTO COURT DRIVE. OFALLON ILLINOIS 62269. SECOND BUILDING ON THE LEFT! 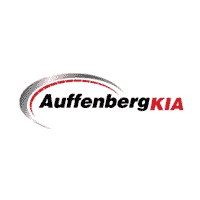 The perfect used car is the one you find that fits your needs and your budget as best as possible, and few used car dealerships near Mascoutah can do that as well as Auffenberg Kia. Not only do we have a wide range of used and certified Kia available, we have these used car deals that offer some of the lowest prices on a range of makes and models. With the Auffenberg Honesty Policy and our selection of pre-owned vehicle specials, you can drive home a new-to-you car that you have faith in. Our finance team will find the best way to fit it into your budget, too — and we offer top dollar on trade-ins. But be sure to move quickly; each of our used car deals is unique. Contact us today to schedule a test drive.